Code Lock Modules with lightVIDEX produce access control systems that can work stand-alone or ca.. Proximity key reader & Standalone 100 card/tag moduleVIDEX produce access control systems th..
900NS A surface mount stainless steel non-volitile code lock with two relays, sixty codes and two pu..
- A flush mount stainless steel non-volitile codelock with two relays, two codes and two push to exi.. Stainless steel surface mounting coded access keypad with rainshield.It has 2 codes and 2 relay ..
Videx 955/T 1X Proximity fob for all Videx proximity systems. 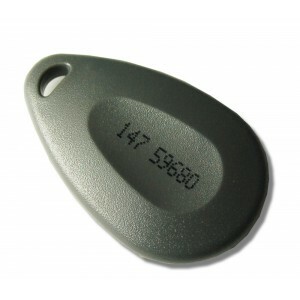 Fobs are numbered and made from ABS pl..
Videx PBX-1E ABS Grey proximity fob. Fobs are numbered and made from ABS plastic with key ring hol..
- Windows based software kit for the Vprox1000 and the Vprox4000 systems.- Kit includes the soft..